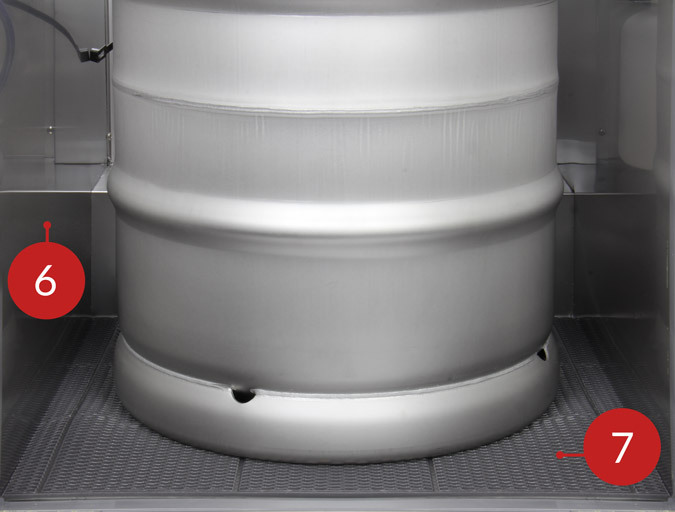 DURABLY BUILT: This coffee keg cooler features steel construction with a brushed stainless steel top and a durable diamond plate floor that can withstand the punishment of frequent keg changes. A guard rail prevents mugs and glasses from sliding. LARGE INTERIOR: This coffee keg dispenser easily holds a full size keg, up to two quarter slim kegs, or up to four 5 gallon kegs with an external nitrogen tank mount. A knockout gives you the option to use a larger tank or mount it outside. CONVENIENT FEATURES: 4" locking casters make this javarator easy to move, and any spills from the faucet are directed into the drip tray and routed into an internal drain receptacle for fast clean-up. The unit measures 40" H x 23.5" W x 31" D.
This versatile Kegco ICXCK-1S-2 Two Faucet Commercial Grade Javarator features a two-tap design and 4" locking casters that make it easy to serve multiple flavors of iced coffee on tap anywhere you want to. Ideal for coffee shops, small restaurants, and office break rooms, it boasts a spacious interior that can hold two quarter slim kegs or up to four 5 gallon kegs as well as a knockout that allows you to store your nitrogen tank outside of the cabinet. 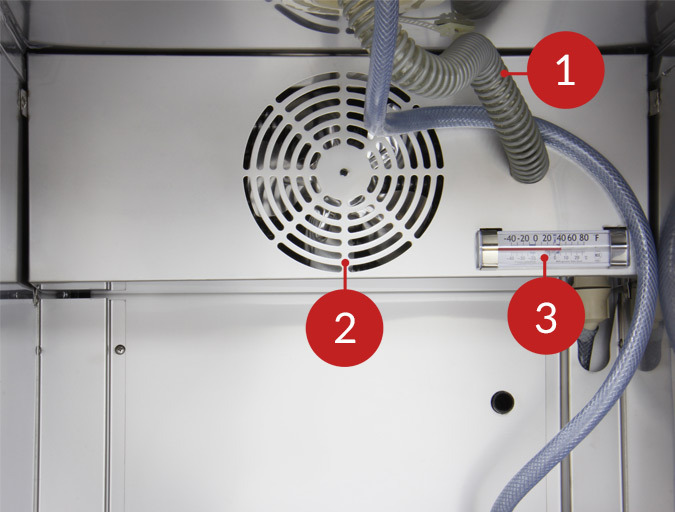 For added convenience, a built-in drip tray and steel interior make this unit easy to clean. A 1/7 hp compressor delivers powerful cooling while cool air is fan-forced into the tower to keep your cold-brew coffee ice cold all the way up to the faucets. This iced coffee dispenser comes complete with a direct draw kit and everything you need to tap two ball lock Cornelius kegs, including a double faucet tower with stainless steel faucets and fittings, two sets of ball lock couplers for Cornelius home brew kegs, a dual gauge nitrogen regulator, and an aluminum nitrogen tank. One 22 cu.ft. 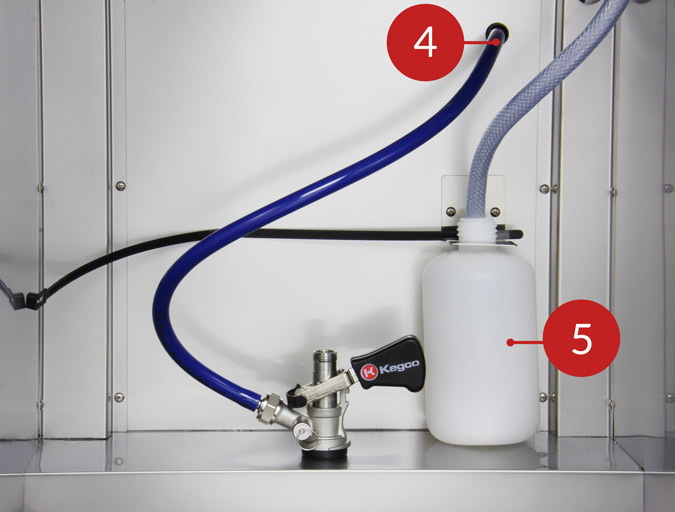 tank can pressurize up to fourteen 5 gallon kegs before needing to be refilled. The faucets are constructed of durable and sanitary stainless steel, and the ball lock couplers are made of food grade plastic and have been designed to resist corrosion.